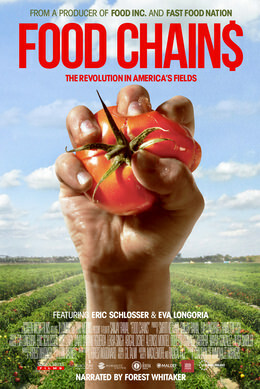 A new film has just been released highlighting the struggle and success of the farmworkers in Florida who are revolutionizing farm labor in the field: the Coalition of Immokalee Workers or CIW. This is part 2 of a four-part article series “Cultivating Climate Justice” which tells the stories of community groups on the frontlines of the pollution, waste and climate crises, working together for systems change. United across six continents, these grassroots groups are defending community rights to clean air, clean water, zero waste, environmental justice, and good jobs. They are all members of the Global Alliance for Incinerator Alternatives, a network of over 800 organizations from 90+ countries. This series is produced by the Global Alliance for Incinerator Alternatives (GAIA) and Other Worlds. This is part 1 of a four-part article series “Cultivating Climate Justice” which tells the stories of community groups on the frontlines of the pollution, waste and climate crises, working together for systems change. United across six continents, these grassroots groups are defending community rights to clean air, clean water, zero waste, environmental justice, and good jobs. They are all members of the Global Alliance for Incinerator Alternatives, a network of over 800 organizations from 90+ countries. Vivos se los llevaron y vivos los queremos. “Alive, they were taken, and alive we want them back,” became the national and international public’s rallying cry for the 43 disappeared male student teachers attacked by municipal police and then handed over to the Guerreros Unidos drug gang on September 26, 2014 in Iguala, Guerrero, Mexico. This remains the rallying cry even after the official press conference of the Attorney General (PGR) announced last Friday that those missing had most likely been executed and burnt to ashes as detailed in the suspected assassins’ video testimonies shared at the press conference alongside maps and photographs of suggestive evidence. However, there is no conclusive proof yet and so the 43 missing remain undead. Their parents refuse to accept this verdict, and in doing so, reveal the state’s incompetency, not only to deliver justice. But also their inability to act with any kind of legitimacy or credibility before a populace to whom it has become ever more clear that the federal government is in fact deeply implicated in the violence it claims to oppose.